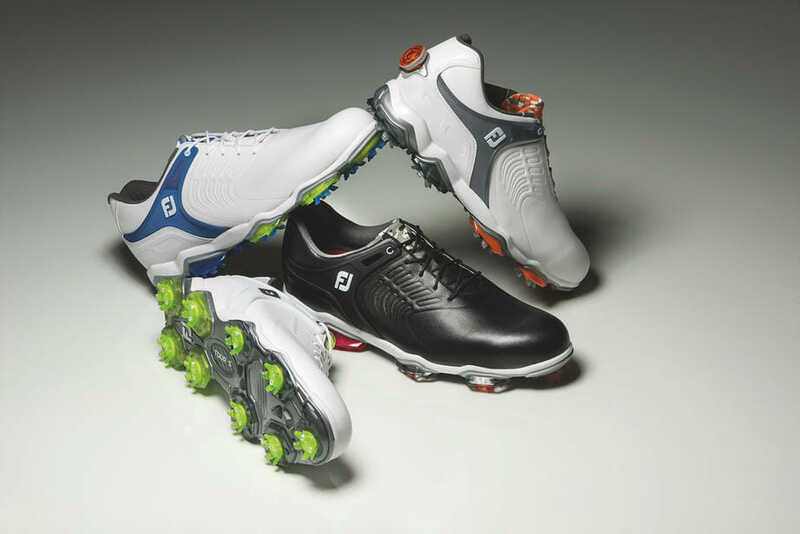 There is no doubt that 2017 was a great year for FootJoy. Pro/SL which is now available to customise on the MyJoys platform took the shoe market by storm. Pro-SL offered stability in a very stylish spikeless range that Tour players and armatures loved. Building on that success was always going to be a tough task in an ever-changing shoe market. 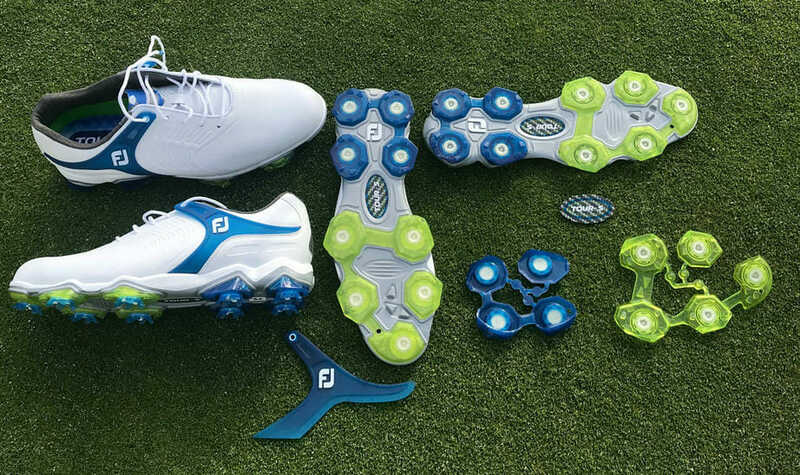 With almost two-thirds of all professional players wearing some model of FJ shoes on leading global Tours, this network was called upon to help establish a clear picture of what golfers want from their shoes to perform at their very best. It was clear from this feedback that players wanted more stability and support to create power from the ground up but with maximum comfort. 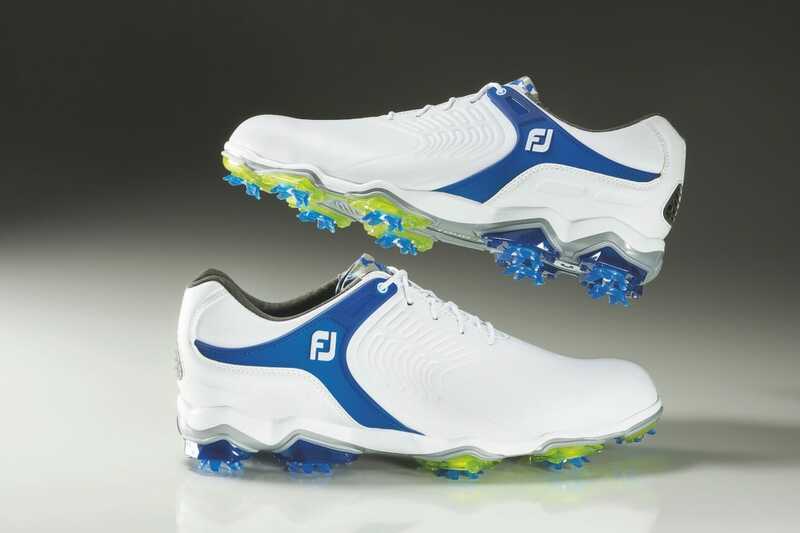 The answer is the new FootJoy Tour-S. With Tour-S FootJoy have created one of the most comfortable shoes on the market with incredible stability. Fans of the FJ brand will see many familiar design characteristics in the Tour -S mostly reminiscent of XPS-1 from 2005. XPS was an extremely stable shoe but was very heavy on the foot so that model got lost in the lightweight shoe revolution. Shoe technology has come a long way in the last decade and Tour-S offers a greater level of stability as XPS-1 but adds unbelievable comfort in a much lighter weight shoe. Tour-S boasts even wider cleat positioning than the D.N.A. Helix to maximize ground force, something that is key for creating power with control during the swing, along with a new outsole construction and additional elements that make Tour-S FJ’s most stable shoe to date. With several innovative features and materials, including the FJ Launch Pods, TPU Power Strap and the proprietary lightweight PowerPlate outsole, Tour-S is the result of a multi-year collaboration with some of the world’s best golfers. Built upon a foundation of a proprietary Pebax® polymer, that is typically 20% lighter than other polymers, the PowerPlate features an integrated carbon weave fiberglass mid-foot plate and nine LaunchPods to create additional structure, surface area, and ground coverage for maximum stability. The Tour-S features FJ’s proprietary PowerStrap, a moulded component integrated into the shoe’s upper to provide lock-down medial and lateral support. SecureCollar and ComforTongue technologies deliver a secure, precise fit round after round. The Tour-S utilises a dual-density PU Fit-Bed to ensure all-day underfoot comfort and FJ’s exclusive Premium Performance Leather (PPL) to achieve top grade feel, finish, and waterproof protection.